The crowd will notice immediately that you wear shoes that are in the high fashion realm with attention to style that is only found on Italian style shoes. Zota is the brand that is famous for making sleek looking Italian style shoes that will look great with the clothes that you like to wear. 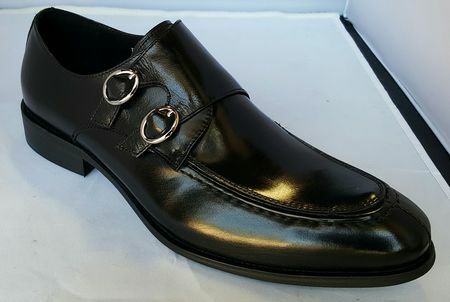 Featuring rich Italian calfskin leather in a sleek longer toe style loafer with the double buckle on the side.